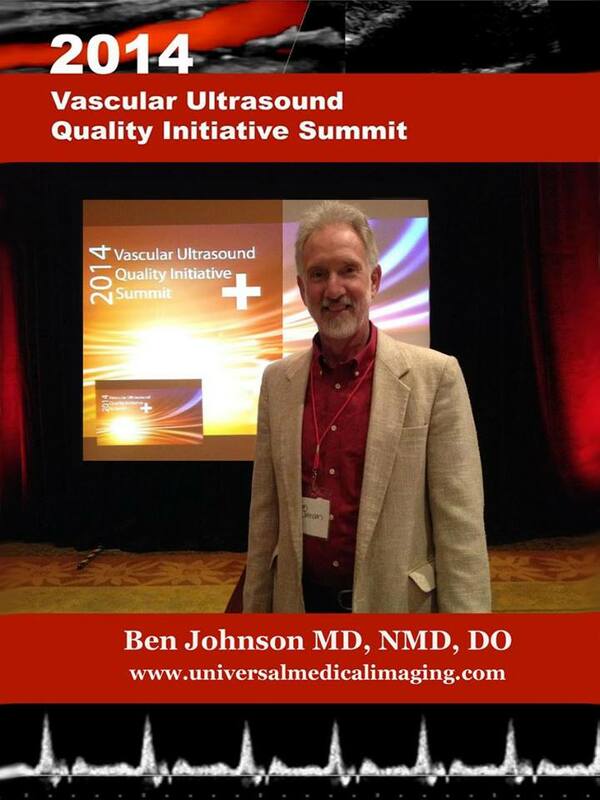 Dr. Ben Johnson, Medical Director at the pH Miracle Center in Valley Center, California, starts this episode of “The Quest for the Cures…Continues” and explaining how mammograms cause cancer and what other options women have to detect breast cancer. Eating Meat Increases Risk for Cancer! Eating Red Meat Increases Risk For Breast Cancer! Eating red meat is linked to breast cancer, according to a new study in the British Medical Journal. Premenopausal women participating in Harvard’s Nurses’ Health Study II who consumed the most red meat were 22 percent more likely to develop breast cancer, compared with those who consumed the least. Each additional serving of red meat per day was associated with a 13 percent increased risk in breast cancer. As a woman, it is important to realize that you are at risk of breast cancer, regardless of your family history. Current statistics show that one-in-eight women will be diagnosed with breast cancer in her lifetime, and this is rapidly headed for one-in-seven women. Numerous steps to prevent breast cancer are known and available, but not mainstream knowledge, so prevention is not being implemented. And, since prevention has not been embraced by American women, early detection of breast cancer is imperative.The American Cancer Society, a long-time staunch defender and promoter of breast cancer screening using mammography, now says it is disappointed that the benefits of using mammography to screen for breast cancer have been overstated. The ACS’s November 2009 announcement was followed up with a US task force report disclosing that the X-rays from mammography were a serious health hazard for women.So, what is today’s health-conscious woman supposed to do for regular screenings? What other options are available and which technology provides the earliest detection? It is in your best interests to understand all the facts and present your knowledge and concerns to your doctor. Know the facts – they could save your life, the life of your mother, sister, or your best friend.The safest, painless, non-invasive and without harmful radiation tests to screen breast are Medical Diagnostic Thermography and Ultrasound.Breast thermography is safe and noninvasive breast cancer screening technique that can detect signs of cancer up to ten years earlier than is possible using mammography. Breast thermography is approved by the FDA for breast cancer risk assessment. The exam takes only a few minutes, and there is no touching or compression of the breast whatsoever. Breast thermography uses special infrared-sensitive cameras to digitally record images of the variations in surface temperature of the human breast. The recorded images are called thermograms. Blood vessels, cysts, other benign sources, and metabolic processes such as growing breast tumors all radiate heat from within the breast. A portion of the radiated heat reaches the surface of the breast, where it composes a stable thermal pattern. A breast thermography examination consists of recording these thermal patterns and interpreting them according to a strict and complicated analytical procedure. When analyzed properly by highly trained individuals, the images implicitly disclose various pathological and abnormal processes. Breast thermography is based on two solid principals. First, departure from the normal thermal symmetry of the two breasts indicates abnormality and the possible presence of serious pathology. Second, and especially important in the earliest detection of breast disorders, pre-cancerous growths and cancerous tumors are characterized by thermographically visible changes in the breast’s vascular system. Thermal Symmetry: Human beings are symmetrical. We have a left side and a right side that in the perfect body, are mirror images of each other. The thermal patterns of two normal, healthy breasts are equally symmetrical uniform temperature distributions interrupted only by the thermal signature of a minimal venous pattern. The normal functioning of the breast is altered with the presence of a breast disorder, and when the functional behavior of a breast changes, thermal symmetry is lost. The more serious the disorder, the more pronounced are the differences in thermal symmetry of the two breasts. Thermography is the only method available with which we can observe the asymmetry. Vascular Changes: Developing cancers are characterized by abnormally elevated temperatures (hyperthermia) and hypervascularity. The developing tumor demands blood for both nourishment and cooling, and the body responds by increasing blood circulation to the region of the tumor. Dormant blood vessels are “awakened,” blood vessels expand (vasodilation), existing veins migrate to the tumor site, and new blood vessels are created (angiogenesis). The faster the tumor metabolizes, the more additional blood flow is needed to support and cool it, and the more the body responds by amplifying the vascular capability of the breast. All of these changes are clearly visible and recordable with Thermography. Again, Thermography is the only method available to observe these changes. Detection of breast cancer at very early stage is necessary to get proper treatments. It has been observed that ultrasound has better records than that of mammography for detecting breast cancer. 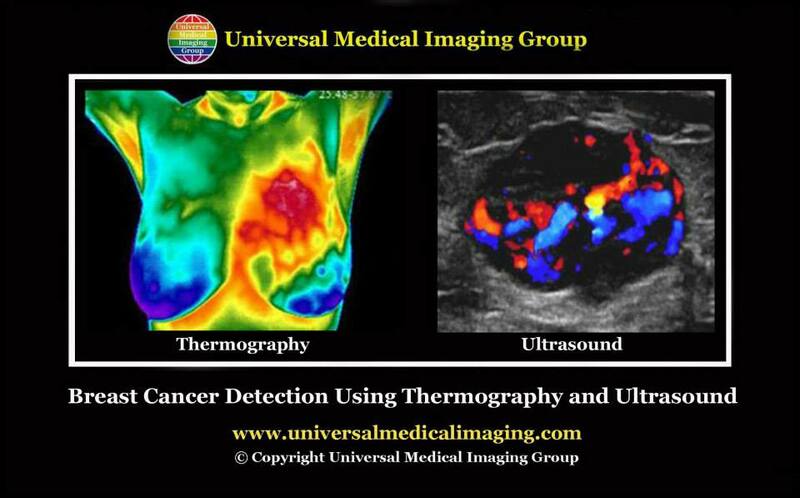 The best combination of tests for breast screening is Diagnostic Thermography and Ultrasound. Breast Ultrasound is an anatomical non-invasive, painless screening test without ionized radiation. Ultrasound uses sound waves to outline a part of the body. For this test, a small instrument called a transducer is placed on the skin (which is often first lubricated with ultrasound gel) and emits sound waves off body tissues. The echoes are converted by a computer into an image that is displayed on a computer screen. Ultrasound imaging is “real-time,” meaning that it can show exactly what’s happening in the breast at that moment, help to distinguish between cysts (fluid-filled sacs) and solid masses, detect increased vascularity around or within the mass, see the shape, exact size and location of the mass, cyst, calcification or dilated mammary ducts. Breast ultrasound is frequently used to evaluate breast abnormalities. Ultrasound allows significant freedom in obtaining images of the breast from almost any orientation. Ultrasound is excellent at imaging cysts: round, fluid-filled, pockets inside the breast. Additionally, ultrasound can often quickly determine if a suspicious area is in fact a cyst or an increased density of solid tissue (dense mass) which may require additional evaluation to determine if it is malignant (cancerous). If breast ultrasound is a better test for detection of abnormalities, WHY do doctors still ask patients to get a yearly mammogram instead of an ultrasound? Is mammography an effective tool for detecting tumors? In a Swedish study of 60,000 women, 70 percent of the mammographically detected tumors weren’t tumors at all. These “false positives” aren’t just financial and emotional strains, they may also lead to many unnecessary and invasive biopsies. In fact, 70 to 80 percent of all positive mammograms do not, upon biopsy, show any presence of cancer. At the same time, mammograms also have a high rate of missed tumors, or “false negatives. The National Cancer Institute (NCI) puts the false negative rate even higher at 40 percent among women ages 40-49. National Institutes of Health spokespeople also admit that mammograms miss 10 percent of malignant tumors in women over 50. Researchers have found that breast tissue is denser among younger women, making it difficult to detect tumors. For this reason, false negatives are twice as likely to occur in premenopausal mammograms. Many critics of mammography cite the hazardous health effects of radiation. A mammogram is an X-ray picture of the breast that can reveal tumor growths otherwise undetectable in a physical exam. Like all x-rays, mammograms use doses of ionizing radiation to create the image. Despite better technology and decreased doses of radiation, scientists still claim mammography is a substantial risk. About 75 percent of breast cancer could be prevented by avoiding or minimizing exposure to the ionizing radiation. This includes mammography, x-rays and other medical and dental sources. Since mammographic screening was introduced, the incidence of a form of breast cancer called ductal carcinoma in situ (DCIS) has increased by 328 percent. Two hundred percent of this increase is allegedly due to mammography. In addition to harmful radiation, mammography may also help spread existing cancer cells due to the considerable pressure placed on the woman’s breast during the procedure. According to some health practitioners, this compression could cause existing cancer cells to metastasize from the breast tissue. Cancer research has also found a gene, called oncogene AC that is extremely sensitive to even small doses of radiation. A significant percentage of women in the United States have this gene, which could increase their risk of mammography-induced cancer. They estimate that 10,000 A-T carriers will die of breast cancer this year due to mammography. An analysis conducted by the Seattle Cancer Care Alliance (SCCA) reveals that, overall, ultrasounds have a 95.7 percent sensitivity rate in detecting malignant tumor cells while mammograms are only 60.9 percent sensitive, by comparison. Among 1,208 cases evaluated, ultrasounds also successfully detected about 57 percent more harmful breast cancers compared to mammograms. Earlier study finds ultrasounds far more effective than mammograms. A New Zealand study published in the American Journal of Surgery back in 2004 clearly illustrates this point, having found that ultrasound is “significantly better than mammography for detecting invasive breast cancer,” having demonstrated a 92 percent success rate. Combining both mammography and ultrasound, on the other hand, only increased breast cancer detection by nine percent, which may represent statistical insignificance.